you can use to help with furthering your career. with the work you are required to complete. Before you enroll in online courses for a degree or to graduate, it is important to determine whether or not you are responsible enough to self-motivate and also to set your own goals when it comes to creating a schedule or completing work on time without any issues. 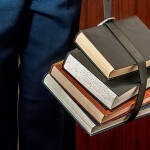 Many online education programs allow you to complete your work on your own time schedule as long as the work is turned in by a specific date, so it is important to ensure you are sticking with a schedule and being strict on yourself as it can be easy to slack without enforced rules each day. Research each online school or university individually to ensure any of the schools and programs you apply for are accredited and valid institutions. By joining an online accredited university, you are more than likely to find a credible job as your college credits will be valid and can be transferred elsewhere in the future or combine with other valid credits you may have earned to your name in the past. When you work from home and online, it is essential to have a quiet study space in your home or somewhere nearby where you can be calm and focused with minimal interruptions or distractions. By creating a specific study space you can help to train your body and mind to get into “work” and “study” mode when you are simply in the space, helping you to accomplish studying, completing actual assignments or even taking tests. chat rooms, message boards and private messaging systems so you can easily keep in touch with those who are studying the same material and the teachers or professors who are providing the content and the assignments as well. Ask questions, send emails and even join live chats to keep yourself involved in lesson plans and familiar with any subject you are currently learning. The more involved you are during the learning process, the more likely you are to remember the material for an upcoming assignment or even a test. Author’s Bio: Dan Young is a freelance writer, professional blogger, and social media enthusiast. His blog Onlinecollegecourses.com focuses on Education bloggers. You can follow him on Google+.